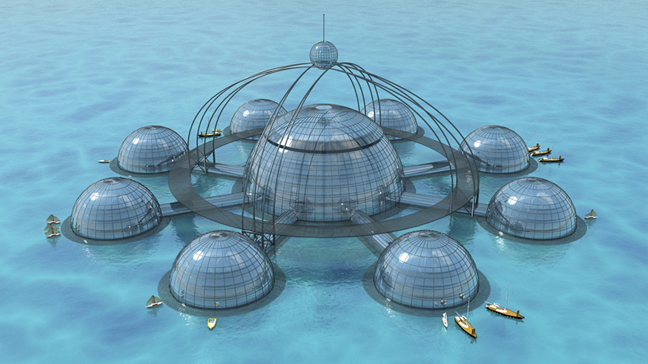 Phil Pauley has designed the “Sub-biosphere 2“, a self-sustainable underwater habitat conceived for use by aquanauts, tourism and oceanographic life sciences and long term human, plant and animal habitation. The concept is an arrangement of eight living biomes that span a site width of 340m (1105 ft), which at its highest point reaches 120m (394 ft) above water. 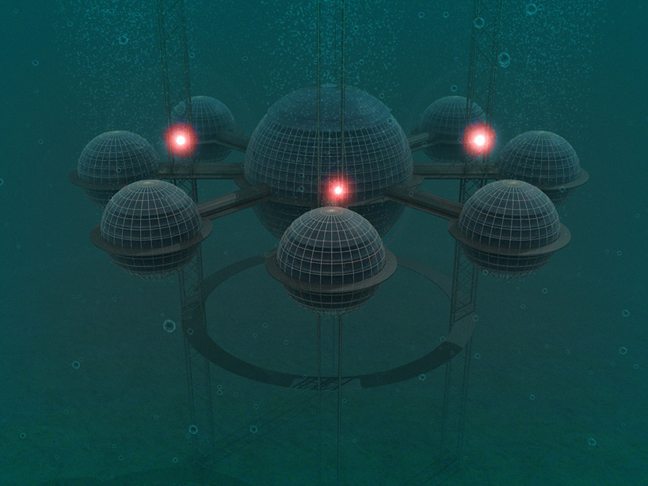 The subaqueous community includes: a central support biosphere that monitors life systems within its own operation facility (D120m/390 ft, H60m/197ft); an observation pod (D20m/65ft); individual pods (D60m/195 ft, H30m/98ft) and boats, the largest measuring 20m (65 ft) in length and 20m/65 ft in height. 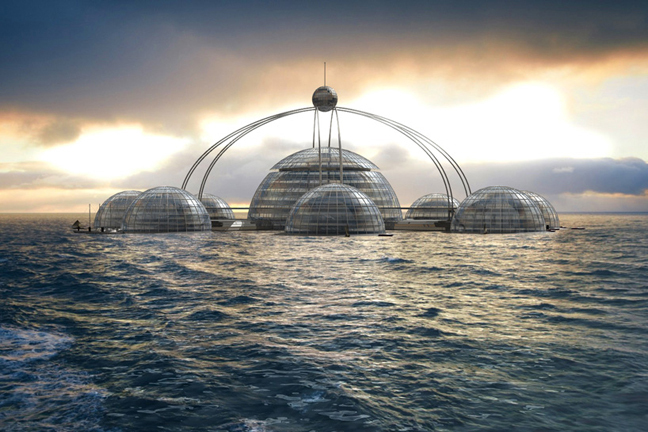 The underwater metropolis has been envisioned as a system that has the ability to sustain all of its life support networks for air, electricity, food, water, and other resources, by controlling the variant atmospheric pressures that occur at depth.